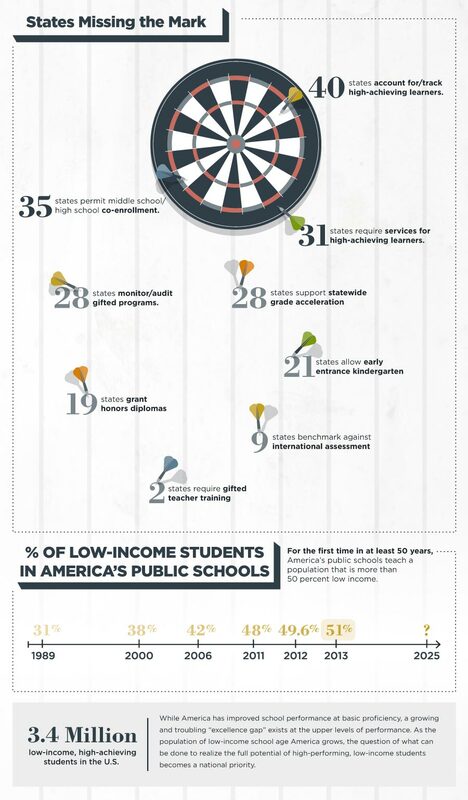 The Jack Kent Cooke Foundation recently published a study that examined what strides (if any) states are making in fostering the academic potential of their gifted, low-income students–and found most states severely lacking. Authors of the study graded states using 18 indicator points to assess how low-income, high-potential students were performing in school. 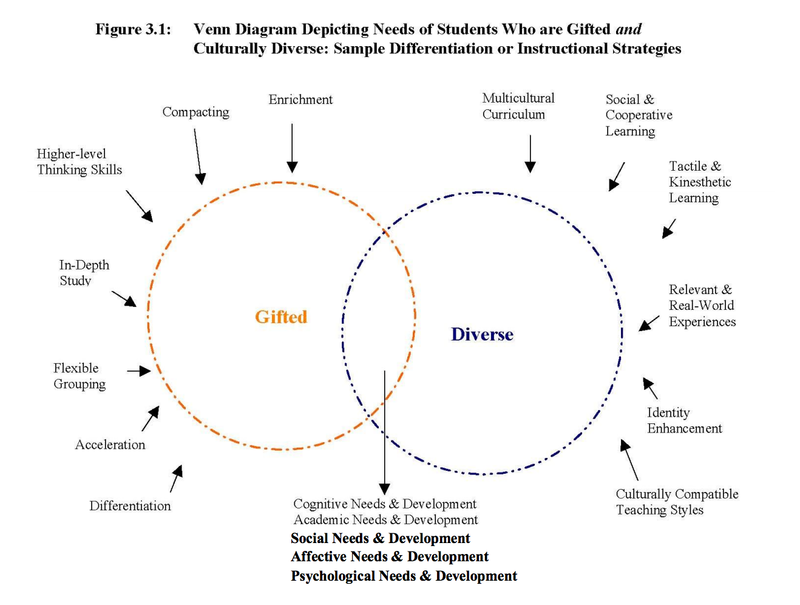 In the wake of this study, PALNYC dug deep into some of the most recent research that has been conducted in the field of gifted education. Take a look at the list below for some stand out studies and articles that caught our eye and let us know if there is an article or study that you would recommend to PALNYC readers. Educators, j oin Hunter College on Saturday, June 13, 2015 for a one-day Gifted Education Conference that will offer insight into classroom strategies that work with K-12 learners, take away tools & resources, networking opportunities with educational professionals, break-out sessions and a Keynote address from Dr. Elissa Brown. 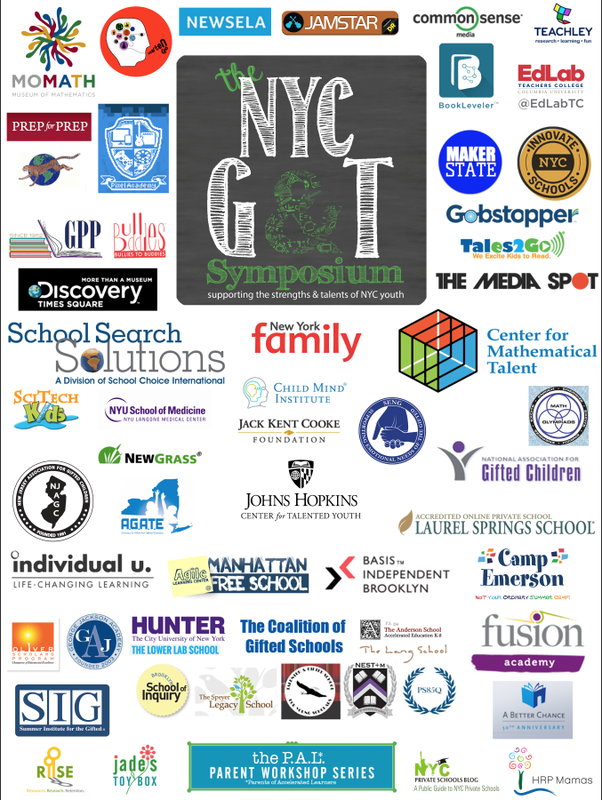 This conference is designed for ALL teachers and administrators serving gifted students in NYC city-wide, district-wide, private, and general education settings. In this study the Jack Kent Cooke Foundation analyzed student achievement for high-ability students in relation to income level on a state-by-state basis. The study limited their indicators to “nine distinct state-level policies and nine specific measures of student outcomes” and found, among other conclusions, that states with with the highest poverty rates like Alabama and Mississippi tended to have lower student outcomes in high-ability students from low-income families. This comprehensive monograph not only outlines the challenges faced by culturally diverse high-potential youth, but highlights ways to change curriculum to suit these learners and showcases a number of effective programs that have had success in serving the needs of high ability learners from diverse backgrounds. A study that examines the likelihood for students identified as high-ability learners in elementary school and middle school to maintain their academic progress over a period of 6 years. The study found that most students–nearly 3 in 5–who were identified as “high-flyers” maintained their high academic achievement over a period of 6 years but a “substantial” number of study participants lost momentum and were no longer high achieving by the end of the study. The study provides recommendations of federal, state and local policy changes that could aid in the advancement of US student’s STEM abilities. These recommendations include casting a wide net in outreach, fostering a supportive ecosystem for all students and improve access to quality STEM programming. A Nation Empowered takes a thorough look at giftedness in American youth. Nearly 11 years after A Nation Deceived: How Schools Hold Back America’s Brightest Students brought the conversation of giftedness and acceleration to parents and educators in layman’s terms, A Nation Empowered is creating a stir with new data on giftedness. This two-volume report highlights the ways in which acceleration benefits students–with case studies to prove it–and what schools, parents and policy makers could be doing differently to help support high-ability youth. Order the PDF version of A Nation Empowered here. For further reading on these topics and more check out the National Association for Gifted Children’s list of Key Reports in Gifted Education or refer to our Research Page. Take notes. GoodReader is a PDF reader for iPad, iPhone and iPod touch to keep track of and annotate all of the research papers and articles you read. Stay organized. Papers helps you collect and curate the research material that you’re passionate about. 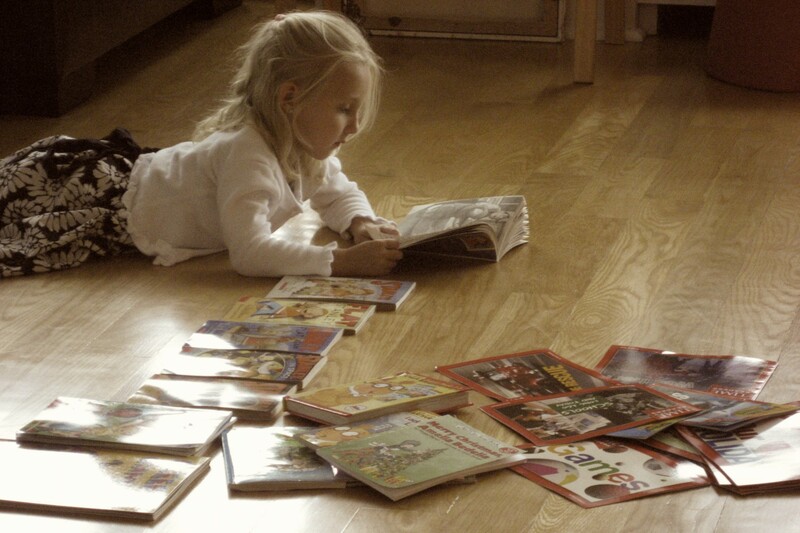 From citations to search, Papers will improve the way you find, organize, read, cite and share.